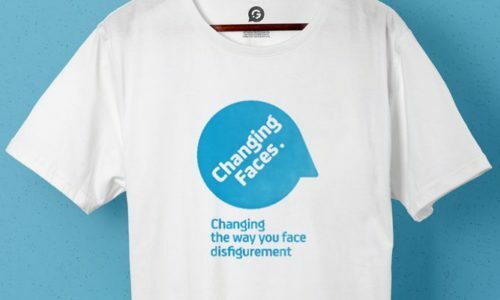 Changing Faces is a UK charity for people and families who have conditions, marks, or scars that affect their appearance. The charity’s aims are to support affected individuals and their families, and change attitudes towards disfigurement. The charity needed their brand logo printed on t-shirts for events and fundraisers across the country. The charity has a local partnership with one of UK’s largest supermarket brands – Sainsbury’s in Selly Oak. They particularly needed t-shirts for the launch of this year-long partnership in August 2014. The supermarket will aid in organising various fundraising events. Sainsbury’s wanted to have t-shirts for their staff so that they can easily be identified with the cause and raise more awareness. The charity and supermarket work to raise awareness of their partnership via different media. The charity promotes the partnership via social media and e-newsletter. Sainsbury’s promotes the Charity and events through banners outside the store, as well as posters inside the store.